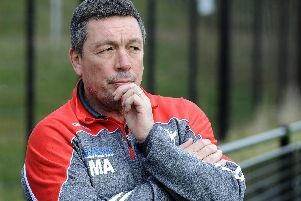 Sheffield Eagles are pinning their hopes on having skipper Matty James back in contention for Sunday’s crucial encounter at Rochdale. James has been one of several injury victims, but coach Mark Aston remains hopeful of having one of his most consistent performers back as they attempt to distance themselves from the bottom two. In his absence the Eagles recorded a victory at Swinton, but then suffered a heavy home defeat to Leigh. Aston has always maintained that James is one of the first names on his team sheet, and knows his leadership could be crucial on Sunday. During what has been a tough start to the Championship, James has often come in for praise from coach Aston. He isn’t the only player who has been missing, the casualties include Cory Aston, Garry Lo, Shaun Pick, Oliver Davies, Jake Spedding and Josh Toole. Perhaps the biggest miss for the Eagles chief though has been James, who Aston believes sets the perfect example for his young side to follow. “He has been our man of the match several times this season already, and justifiably so,” Aston continued. “His attitude and his work ethic is second to none. When he came back for pre-season he was fitter than he has been for a long time.